BOOM! That’s how immediate the impact of visual merchandising is on retail shoppers – and why effective visuals are a strategic asset in omnichannel retail. Visual merchandising presents a retailer’s physical store or e-commerce website in an enticing way to attract customers. Yet the objective isn’t just to look alluring – it’s to fuel retail purchases. Let’s look at how timeless design principles impact shopper psychology and drive traffic and sales both in stores and online. Today, visual merchandising blends artistry and data science, helping retailers get their message across faster and with greater impact. Now that shoppers around the world expect omnichannel service, let’s examine how the following 5 classic elements of visual merchandising apply as much to old-school brick and mortar stores as they do to today’s trendiest e-commerce websites. Regardless of sales channel, a well-designed architecture makes the store inviting so shoppers feel welcome and excited to explore the store or website. (And spend money.) A physical store’s architecture includes visual elements like the floor layout, the range of colors of the décor, and the backdrop, including three-dimensional window displays, shelf displays, and mannequins. E-commerce architecture also requires a thoughtful layout and clear signage to guide shoppers throughout the website. Retailers use a complementary color scheme to please the eye and cast models who fit their brand persona. Nowadays online product cards are on par with editorials, using captivating color schemes and product descriptions that harmoniously align with a singular brand language to drive sales. Visual merchandising intrigues customers with brand storytelling to transform a shop into an exciting destination that inspires and entices shoppers. The merchandiser decides on the theme – the look and feel – of a store, then evokes a desired effect through the visual displays. An effective in-store narrative sparks customers’ imagination with emotional impact, brand personality, and store ambiance. The focal point may include a hero – such as a high-impact collection of bold new items or an elaborate holiday display that nudges shoppers toward a purchase. Narratives distinguish brands: The narrative Tom Dixon reflects the designer’s commitment to creating modern, innovative and stylish pieces. Online storytelling through visual merchandising also involves a logical narrative flow that guides customers through the online shopping journey so it’s compelling, effortless and smooth (and shoppers don’t wander in different directions on the website. Regardless of channel, the narrative must reflect a consistent brand identity and customer-centric care from when shoppers enter the store or site to when they complete a purchase. In-store and online, visibility encourages retailers to feature items that align with a unique narrative and authentic brand image, while helping shoppers easily and quickly find the items they desire. The principle of visibility prioritizes the products retailers push the most, whether the items are high margin or exclusive enough to drive loyalty, word of mouth and social sharing. Online, the e-commerce information architecture and sitemap flow help retailers prominently showcase the products that are most likely to sell to prevent the items from being buried deep in the e-commerce site. Data analytics help merchandisers know exactly which products are most popular and trending, influencing the items they make most visible, including which color palettes, fabrics and cuts to make most visible to wow shoppers all the way to the checkout page. Few customers enjoy navigating through a store crammed with excessive merchandise. By contrast, white space can help a shopper relax and enjoy the store atmosphere. White space encourages merchandisers to emphasize products that relate to their overarching theme by using innocuous brand elements. Merchandisers exercise restraint to ensure uncluttered beauty so the retail narrative shines through clearly. White space creates uncluttered beauty: The use of white space reflects millennials’ desire for minimalism and emphasizes the quality of each product. Using sufficient negative space is essential online, making the shopping experience easy on the eyes, chaos-free and pleasant by reflecting understated beauty and calm confidence. Successful visual merchandising in stores and online address consumers’ needs (such as quality, variety and sensory appeal, as well as the trust that comes from online product reviews) and inspire their wants (to feel attractive, confident and hopeful). Both in-store and online, merchandisers must give attention to merchandise and communication cues. They need to showcase sufficient product variety while remaining consistent with the core brand theme, finding a happy medium to neither overwhelm nor disengage in-store shoppers. 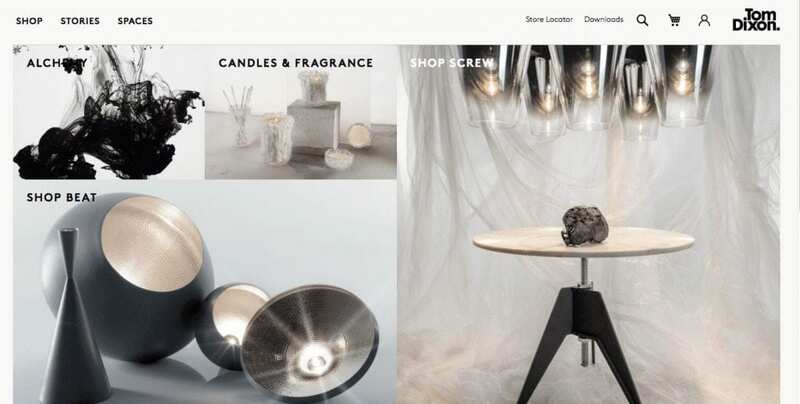 In the age of speed, the window dressing of visual merchandising is neither fluffy nor trivial – it is a critical business asset that drives retail conversions in stores and on e-commerce websites. Given shoppers’ extremely short attention span, merchandising professionals express the retailer’s intended message with thoughtful, consistent visual cues across retail touchpoints. 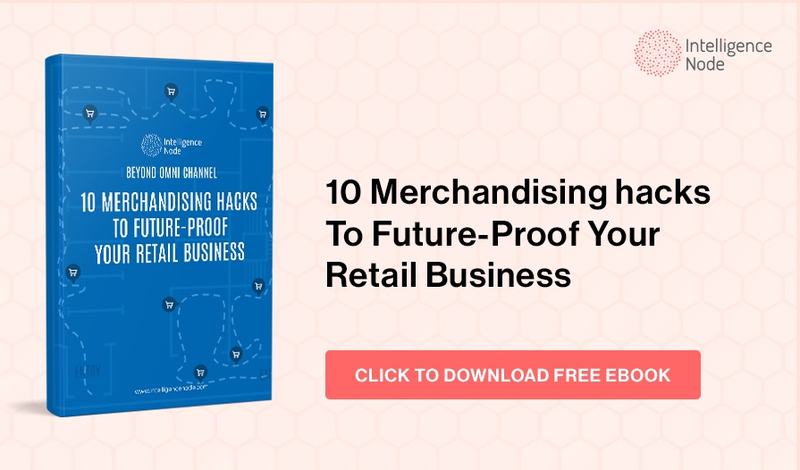 Applying classic visual merchandising principles can help retailers improve their omnichannel excellence, and increase in-store and e-commerce sales. [i] Reed, Gabrielle. Why Visuals Matter for Engaging Millennial Audiences. Ethos3.com. December 30, 2016. We can help you with our, Assortment planning module , identifying and correcting gaps in your catalog to increase your conversion rate. Get a free assessment !